Yep, Phat Company is the one in charge for Nendoroid Ika Musume, so it is only natural that they are previewing her, considering that Ika-chan is going to be one of their flagship product for this year. 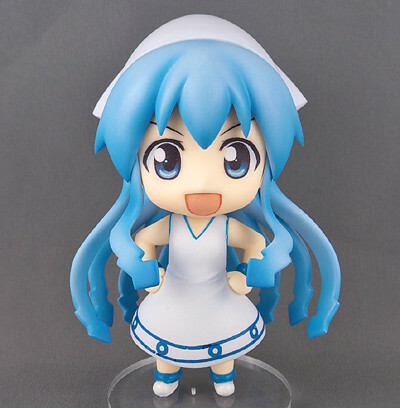 As refresher: Nendoroid Ika Musume has gone available for pre-order early this week. This entry was posted in News and tagged ika musume, nendoroid, phat company, shinryaku ika musume. Phat company makes the most dullest nendoroids ever. If GSC did this she’d have better faceplates and more parts. I am kind of shocked there is no mini Ika faceplate.